Hi. 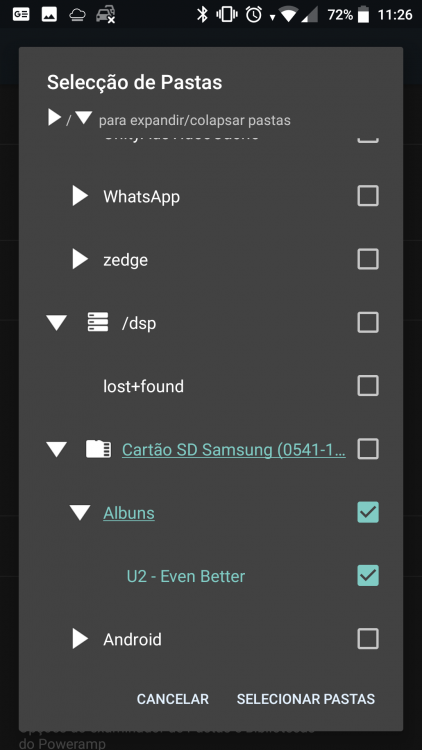 Can't manage to make Poweramp find my music files in my SD card. But I can play them in power amp if I start the music with tge explorer. Running beta on Mi a1 4g 64. No problem what so ever if I put them internal. And yes I can and I did check the folders library and selection. The card appears there but checking it does nothing. Thanks in advance. So you can see the necessary folder in the Music Folders list, and tick it, but then doing a Full Rescan does not result in any of the songs showing up in the library? 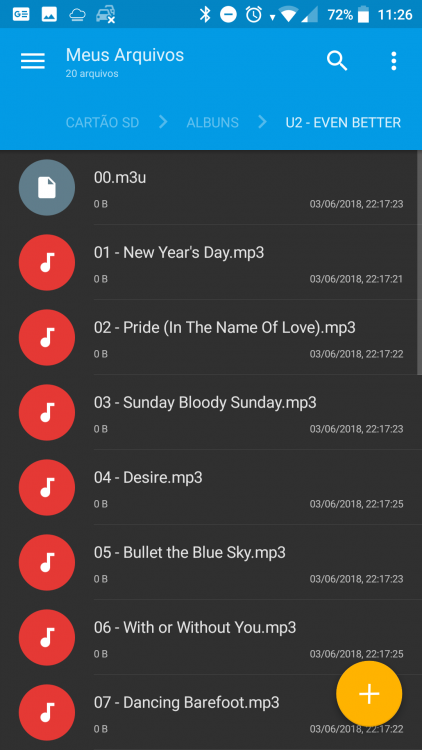 Are these regular .mp3 extension files? Indeed; Regular MP3 flac cue, etc. But the program can run them and add them if internal. I can also play them if click them via SD card in the explorer (solid explorer or mi explorer) and choose PwAmp to play. The SD is set as mobile. I going to try and set it as internal latter. 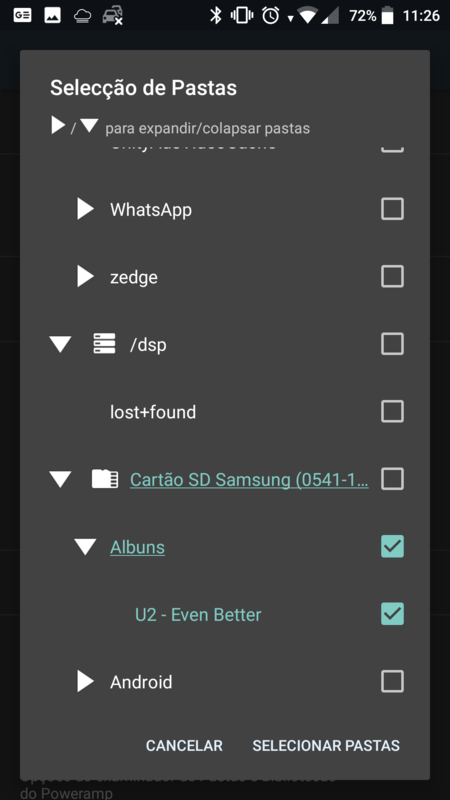 It's odd, if PA can see the folder (I tend to choose a top-level folder rather than the whole SD Card) then it should be able to scan the contents too. There's my screen. I tried also checking the whole card. Same result. Still no U2 in the album's list. I can't see any reason why that should not work, you've only got one folder there which for testing purposes is a good idea. It might be worth trying to do a clean reformat of the SD Card and copy everything back onto it? Found it. Some how solid explorer don't create a correct path name for pwamp. If I move files with mi explorer it does work. Going to investigate further because I do love solid.